Most doctors at some stage in their career need to give evidence, either as defendants, witnesses or medical experts. 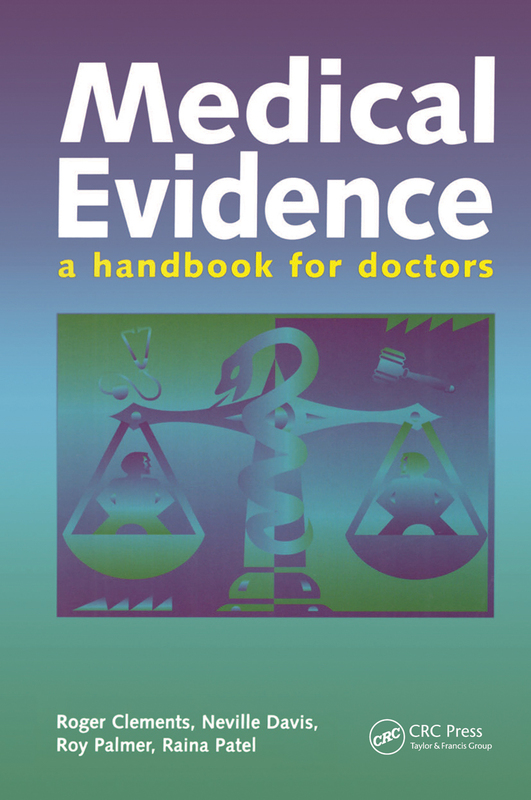 The authors, all experienced in different areas of medico-legal practice, explain the relationship between the doctor and the law, highlighting the pitfalls of giving evidence and providing practical, reassuring advice. This handbook prevents doctors feeling out of place, ill prepared or foolish in a court of law or tribunal, and is ideal for both newcomers and more experienced doctors and health care professionals. This book is a marvellous repository of information and good advice for any doctors preparing themselves for a court appearance, for whatever reason. There is even a handy glossary of legal terms and acronyms. An excellent small book which should be required reading for all doctors and particularly for those who find themselves called to give evidence either as an expert or as a factual witness…Go and buy this book, it is modestly priced for its importance; a copy should be on every doctor's shelf for you will undoubtedly need to refer to it in the future. [this book] provides a good practical introduction to legal proceedings for the doctor who finds himself willingly or unwillingly having to deal with lawyers…For the doctor who has quite enough real work to do without being harassed by lawyers, this book should provide a good basis for responding to lawyers' requests efficiently and as painlessly as possible…This book provides an excellent start and gives details of how to get more information in each relevant area. I think this is a useful guide - even to the experienced 'court attender'. It is well written, in plain and practical style and its content contains useful tips that anybody required to give evidence may find useful. It is the right length to be a simple reference source and a useful addition to any doctor's bookshelf. No doctor should be involved in writing reports or appear in a variety of courts without being familiar with the contents of this book.